Activist investor Elliott Management — whose criticism of Athenahealth caused the company to fire founder and CEO Jonathan Bush, cut costs, and seek a buyer – joins several other would-be suitors that will pass on acquiring the company at Elliott’s previously offered price of $160 per share. Elliot says its due diligence has turned up significant Athenahealth problems. ATHN shares dropped sharply on the news. Athenahealth will extend its bid deadline by 10 days through September 27. Critics of Elliott’s tactics speculate that the firm is hoping that Athenahealth will accept a fire-sale price to avoid the public embarrassment of eliciting no acceptable offers. Due to personal reasons and effective immediately, Scott Bostick has made the decision to step down from his position as Chief Operating Officer and into an Individual Contributor role reporting directly to me. Please join me in thanking Scott for his leadership as he transitions into this new role. Further, in the coming weeks, the executive team will work with the senior leaders within the client services organization to ensure a successful transition under the leadership of our Chief Financial Officer, Jamie Arnold. The leaders who will now be reporting to Jamie Arnold include: Mitch Waters – SVP, Sales, Colleen Edwards – SVP, Marketing, Allen Plunk – SVP, Managed Services, and Ben Clark – SVP, Client Services. At this time, we will not be backfilling the Chief Operating Officer role. We will move forward with a flatter organizational structure to ensure continued success of the commercial client facing organization. 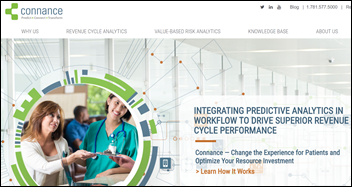 Waystar will acquire workflow and predictive analytics vendor Connance to enhance its revenue cycle management capabilities. Signet Accel, the Ohio State University spinoff that offers the Avec data integration platform, has reportedly downsized and parted ways with CEO John Raden. I also noticed that former EVP of Sales and Marketing Brenda Barry has gone back to her previous employer after one year on the job. Regenstrief President/CEO and AMIA board chair Peter Embi, MD, MS was a Signet Accel co-founder and medical advisor. Aramark will sell its Charlotte, NC-based hospital medical equipment management and clinical engineering business to Trimedx for $300 million. Silicon Valley venture capital firm Kleiner Perkins will spin off its digital health group – which includes some of its most prominent partners, who have invested in Uber and Stripe – into an independent group. The early-stage team will continue to operate under the Kleiner Perkins name. The firm’s healthcare technology investments include Collective Medical, Livongo, and Mango Health. It previously invested in Teladoc. The Justice Department approves the $52 billion merger of insurer Cigna and pharmacy benefits manager Express Scripts. Beacon Health System will implement MyHealthDirect’s patient self-scheduling system. Children’s Health (TX) signs a 15-year, $75 million agreement with Philips for patient monitoring and PACS technologies. DCH Health System (AL) chooses Santa Rosa Consulting to lead its Meditech Expanse implementation. Cigna will expand its diabetes prevention program in collaboration with Omada Health. GetWellNetwork hires Peter Keating (Advisory Board) as chief people officer. Jeff Sturman (Cumberland Consulting Group) joins Memorial Healthcare System (FL) as SVP/CIO. He was previously SVP of IT there from 2004 to 2012, where he led its selection and implementation of Epic. PatientPing hires Sagnik Bhattacharya (Epic) as VP of payer and provider initiatives. Jesus Delgado (Rush University Medical Center) joins Community Healthcare System’s Community Foundation of Northwest Indiana as VP/CIO. Healthcare investor and innovator Tom Main, managing partner of 7wire Ventures, died Sunday. 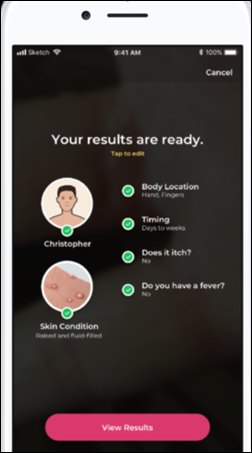 VisualDx launches Aysa, a consumer app that inspects a user’s skin condition photos, asks relevant questions, and then provides possible causes. 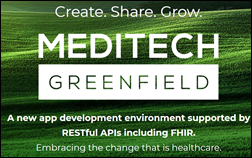 Meditech announces Greenfield, a third-party app development environment that supports FHIR and will offer a store of approved apps. Mercy Technology Solutions launches a cloud-hosted, pay-per-study PACS offering. EPSi adds Ilerasoft’s medical equipment investment and usage capabilities to its capital budgeting system. 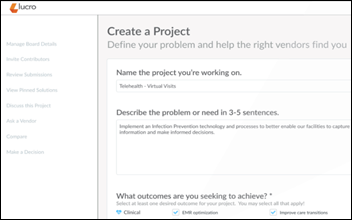 Ciox Health announces HealthSource Gym, a learning environment that will help healthcare organizations assess, train, and develop medical coders. HHS publishes a report covering the state of its data sharing among its 29 agencies, noting problems that include a lack of standards for inter-agency data requests; variation in technical formats and approaches; the variety of statues that regulate data collection project; and the increased chance of privacy violations as data availability increases. California doctors will be required to consult the state’s prescription drug monitoring program database before prescribing opiates under a law that takes effect October 2. The CURES system was developed in 1997 and updated in 2009 and 2016, but a 2012 newspaper investigation found that less than 10 percent of doctors and pharmacists had even bothered to sign up for access. In Africa, the governor of Nairobi makes an unannounced visit to a maternity hospital to follow up on complaints of negligence, orders an employee to open several unlabeled boxes and bags in a storage room. and finds the bodies of 12 infants. Reports suggest that the babies died when the hospital’s incubators lost electrical power. The government will follow up with investigations into rumored child trafficking and giving babies to the wrong families. Kenya’s public hospitals are mismanaged, underfunded, and staffed by doctors and nurses who have gone on strike over low pay and poor working conditions. 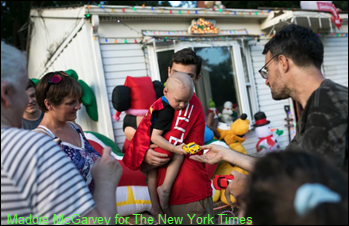 A Cincinnati neighborhood creates a Christmas celebration for a two-year-old whose aggressive brain cancer is likely to kill him before December. Six neighbors of Brody Allen’s family put up their Christmas lights early, sent cards, and will have a Christmas parade that includes fire trucks and supporters driving their own cars. He is too weak to walk, so his siblings wheel him around the neighborhood in a Red Flyer wagon covered with blankets. 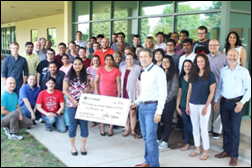 CenTrak donates $5,000 to the Kerala Flood Relief Charity Fund. 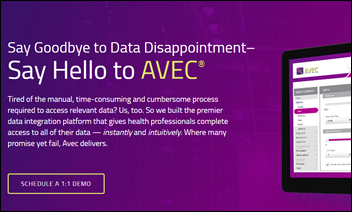 ACOs using Lightbeam Health Solutions achieved 1.7 times the savings generated by non-Lightbeam ACOs. Cumberland Consulting Group will sponsor and present at the Medicaid Drug Rebate Program Summit October 1-3 in Chicago. Formativ Health adds several new features to its Patient Engagement Platform including payment functionality powered by Patientco. Wolters Kluwer highlights patients as an underutilized resource in the fight against sepsis. Aprima and Direct Consulting Associates will exhibit at the Ohio MGMA Fall Conference September 19-21 in Columbus. Jason Spurck (SOS Tech Group) joins Audacious Inquiry as support engineer. TechVibe Radio features Arcadia CTO Jon Cook. Burwood Group will host “Cloud Revolution with Burwood, Citrix, & Google” September 27 in Chesterfield, MO. CarePort Health will exhibit at ACMA Kentucky/Tennessee September 24 in Nashville. CoverMyMeds will exhibit at the PCMA Annual Conference September 23-25 in Scottsdale, AZ. If this were only the case many people including those who based their buying decisions largely on KLAS rankings would be happy. While few CIO’s and teams will make the final buying decision on KLAS reports alone, a very large majority, probably 3 out of 4, use KLAS to help them narrow down the field to the vendors they should and should not look whether the vendor meets their requirements or not. Of course few buyers know what their true requirements actually are (lets start with a vendor we have heard of- or maybe not) so that’s as good a starting place as any. Sorta like having the ideal requirement for a date to be tall, dark, handsome, and rich but instead settling for one with a pulse…. Allscripts sites which continue to purchase additional services and products apparently use KLUTZ as their decision maker. Tim, haven’t you run surveys in the past that show CIOs do give weight to KLAS scores? Perhaps that’s not the deciding factor, but I think the weight the place on the comments and scores is not insignificant. My January 2018 poll found that 81 percent of respondents don’t trust KLAS rankings, but respondents were anonymous and anyone could have voted. I seem to recall something about CIOs saying they look at KLAS just to make sure they aren’t choosing a vendor with such low scores that the CFO will get nervous, but that wasn’t a poll, apparently. NXGN – VP Sales & VP Marketing reporting to CFO?? For a tech company that has to be the kiss of death. Do I see an Elliot on the horizon?